It’s been many years since I was on a decent hill walk, but with the slow realisation that the Blackstairs Mountains aren’t just for gazing at and that for the past 12 years we’ve stared over at a ramblers paradise, this year I made a decision to lace up the boots and head out across the purple heather. This was followed by an opportunity to work with Carlow Tourism to help to promote the Carlow Walking Festival so even better, a guided walk to help me out of my hill walking hibernation. As the day of the six-hour walk approached I was glad that I’d walked in various mountain ranges in the UK, but still, that was over twenty years ago. I was therefore feeling some trepidation about what I might pack and wear and how I might fare on the walk. During my younger years, I’d been lost in fog, wrecked my knees, had a panic attack, experienced blisters on heels that were the size of lemons but plodded on regardless for the sheer joy of being outside in the mountains. Or perhaps I’m looking through rose-tinted glasses and it was more likely that it was too far to turn back… With those memories tucked away, I was keen that this walk be as comfortable as I could make it as I desperately wanted to enjoy it and not let anyone else down in the small group I’d be walking with. There were 23 walking tours *planned for the weekend festival, each split into three levels of competency. I chose a ‘B’ walk for experienced walkers that was going to explore the history and archaeology of the Blackstairs mountains and wasn’t disappointed. It was led by Seamus Murphy, a PhD student of uplands archaeology and a hill walker since childhood thanks to his involvement with a local Scout group. Seamus enthralled us with his knowledge of times gone past as well as pointed out the various stone art, Dolman and hill forts. The group was also accompanied by at least three experienced guides who ensured nobody was left behind. Apart from ensuring we were safe, the friendly & entertaining guides shared some of their own local tales, as well as stories of how unprepared some hill walkers have arrived for their walks – no rain gear or warm clothing, no drinks or snacks and in ‘their best city shoes’ for instance. …not so much about your experience, it’s about your guides and clothing. 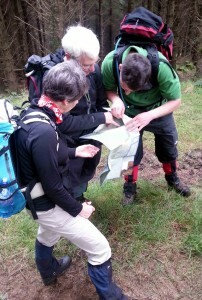 If you’re new to hill walking and don’t have any map reading experience, guides are essential. Their quiet confidence and knowledge are an invaluable way of getting you started safely. Mountains can be boggy and rocky, with sheer drops and pools of water. Living 1,000ft up in the hills, I know how quickly temperatures can drop and clouds roll in with fog that can suddenly give close to zero visibility. Mountains should be taken seriously. While it can be sunny in the valley at the start point, 3,000 ft up there can be snow. Good hill walking guides carry safety equipment and know what to do in emergencies. Most mountain ranges have hill walking clubs and if you contact them, may be able to suggest guides who can help you find your way around. With that in mind, here’s a list of essentials that you should pack for a hill walk, baring in mind that you will have to carry it all. First of all though, some suggestions on clothing. After good guides, the second secret to a good ramble in the hills is getting your gear right. Layering is essential. The key to enjoyable rambling is comfort. Being wet and cold can make for a really miserable walk and potentially be very dangerous. If you’re new to hill walking and don’t want to splash out on all the various clothing options that are now available for ramblers, think layers and what you can get in and out of your rucksack easily. Avoid cotton as once it’s wet it stays wet and jeans are definitely a no go as are cold and heavy when wet, which could increase the risk of hypothermia during cooler walks. The weather was dry on our walk but very wet underfoot in places. We got hot walking up steep inclines (fleeces off), then cool when we stopped to look at stone art (fleeces on). It was windy in exposed places (hats and coats on) and very sheltered coming down the mountain (hats and coats off). I therefore wore a vest tee-shirt, a long-sleeved tee-shirt, a thin fleece, lightweight track suit bottoms, two pairs of socks (thick and thin), gaiters, well-worn, recently waterproofed walking boots and a warm, waterproof jacket (which spent a lot of its time tied around my waist, but I was very thankful of it). On this walk I’d got it right but as I mentioned, there have been others when I haven’t. Experience helps. For the first time ever, I used a telescopic walking stick for this hill walk and immediately took to it. Useful in the boggy areas to test the depth before the boots waded in, helpful to break a fall or ease the way walking down the hillside and acting as an ‘extra arm’ as I hauled myself up the steep bits on occasion, my walking pole was a godsend. These suggestions are for hill walkers planning to head out four hours or more with experienced guides, based on my experience at the Carlow Walking Festival. If you’re not on a guided walk, you’ll need to add other items such as compass, maps, waterproof map cover, whistle and a torch but I wouldn’t recommend hill walking alone unless you can self navigate. * A great tip I picked up recently. If your boots get wet through, take them off, change your socks into dry ones, then put your feet into the shower caps before putting them back into your boots again. This should keep them dry for the rest of your walk. There’s nothing worse than wet feet when you’ve still hours of walking ahead of you. For more detailed information about hill walking in Ireland Mountaineering Ireland have a useful website. 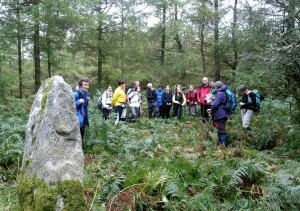 For guided tours in the more popular mountain ranges check out Hillwalk Tours Ireland and if you’d like to walk the Blackstairs Mountains, have a look at the Blackstairs Ramblers as a starting point who meet weekly throughout the year. Walking or rambling in groups is a great way of meeting people and making new friends as you’ll always find someone to chat with. You’ll generally finish your day with that great sense of achievement and satisfaction that sits alongside outdoor exercise and spending a day in the great outdoors. 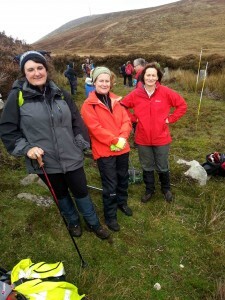 Carlow Walking Festival gave us the opportunity to experience that and finish up in front of a warm fire, tea and sandwiches in O’Shea’s pub in Borris. 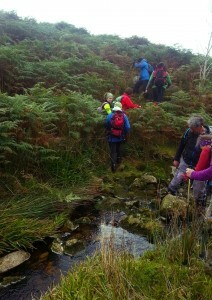 I met some lovely people on Walk 20 and am hoping to continue to walk on the Blackstairs as a result of this festival. 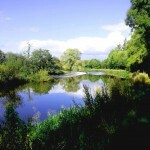 If you’ve enjoyed this post and would like to read about Naomi Lavelle’s family experience of staying in Carlow and playing on and by the riverside during the hill walking festival, you can read her blog post here. Una Halpin of Wildways Adventures lead a ‘C’ rated walk along the River Barrow that I had the pleasure and enjoyment of joining the day before my ‘big walk’. 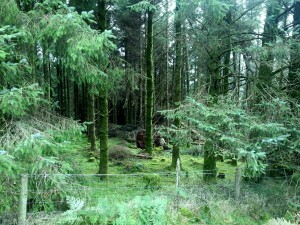 Una also took her young son along the Blackstairs Eco Trail walk the following day. 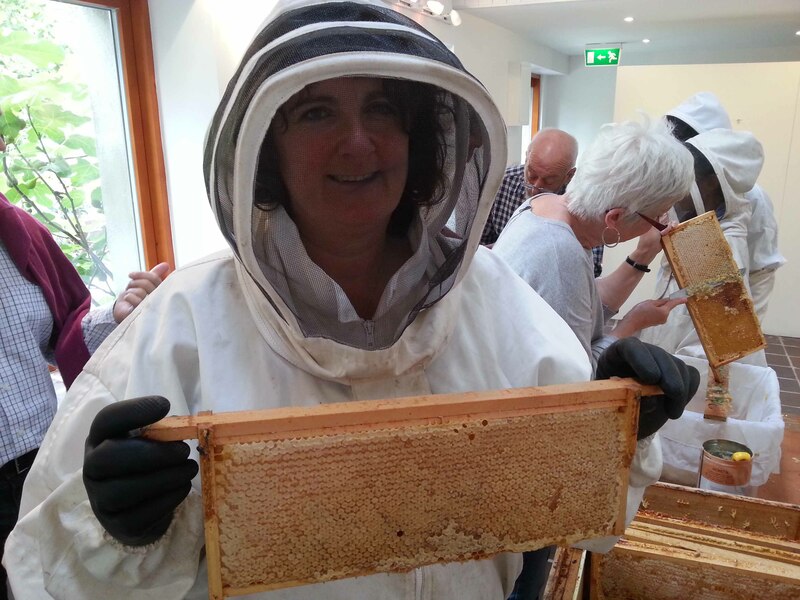 You can read Una’s account of the weekend here. Are you a hill walker? Can you offer anymore tips or secrets to a successful hill walk? You have me feeling nostalgic Dee. My walks these days are usually on a lower level but I used to love hill walking. When I was hiking with the Guides as a teenager we we always brought a bag of GORP (Good old raisins and peanuts), a mixed bag of raisins, nuts and assorted sweets that you could munch on the go and the emergency rations that were only for emergencies and were not to be touched until you were down off the mountain. Kendal Mint Cake was always a favourite for emergency rations as it’s so sweet you wouldn’t be inclined to sample it too often and it keeps for ages so the same bar could be brought on several hikes. We also hiked in Aran jumpers and oilskins at first so the arrival of fleeces and breathable raingear was a definite change for the better. That might change Una as your youngest grows up. I was reminded of the nuts and raisins when I spotted another walker and I must admit, although I’d planned to take chocolate the shop was closed! You’ve reminded me about the Kendal Mint Cake as I too, had one that lasted and lasted. I wonder where we can buy it these days? Definitely agree with you there about the fleeces. I remember walking in a jumper years ago and a raincoat that left me wetter on the inside than out! Oh hail modern technology for walkers eh! Sounds good fun Dee, I was intrigued to see what the two shower caps were for – very clever! 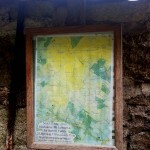 I still get lost in Kilkenny so I’d definitely need a guide on a mountain. When in the UK, we used to love going for regular walks in the New Forest and I never knew the way back to the car! I have done countless number of compass days Lorna, but still wouldn’t trust myself in a mountain. I think it’s the kind of think you need to do regularly to remember (or perhaps that’s just me). 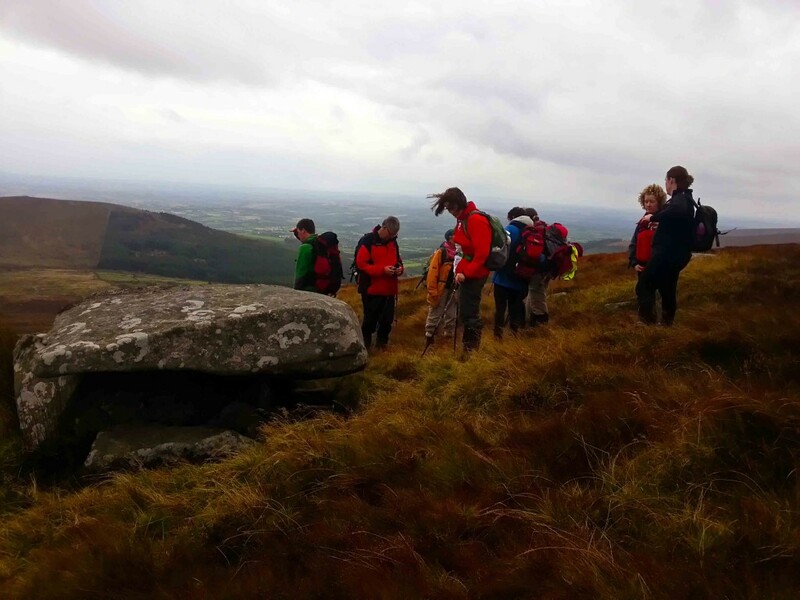 Apart from leading the way, the guides at the Carlow Walking Festival made the walks interesting as they were able to point out all the interesting landmarks too. I used to go hillwalking all the time as a kid and I do miss it. I love the silence when you get to the top, or the middle of nowhere. I think you may have inspired me to look at it again. Ahh, that’s nice to read Amanda 🙂 I think the trick is in making the time to do it, something I seem to struggle with so in that respect, a walking club is very appealing.